Made from the rhizome krachai, whichi is a finger-like herb in the ginger family. A useful ingredient in various Southeast Asian dishes especially Khanom Jin. Krachai powder is a good substitute for fresh krachai (also called grachai). 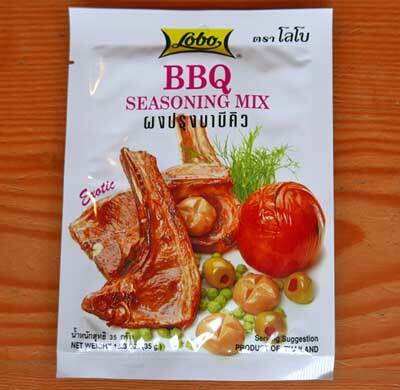 Use it to flavor any kind of curry paste, in particular vegetarian curry kaeng par but also red curry or green curry. Modern packaging from well-known Lobo Thailand. Wonderful aromatic spice. Experiment with it and enjoy the authentic taste of Asia. Comes from an erect annual plant with aromatic rhizomes and fingerlike yellow-brown roots.